What is Scott planning?! Read all about what is coming up for Scott. Riga to Odessa. Latvia to the Ukraine. 970 miles. 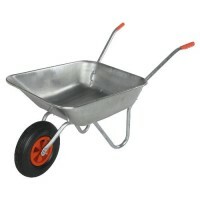 With a wheelbarrow. This one is going to hurt! I aim to complete at least a marathon a day with my camping equipment and essentials loaded in the 'barrow. That means apporximatley 38 marathons in a row. Think I may need to train for this one! Lanzarote to Antigua. Over three thousand miles in a 29ft ocean rowing boat! 35 to 45 days at sea with @Monkeyfistadventures. Billy will skipper, Alex is our novice and one of either Liz or Howard will join us. These two legends have Young Onset Parkinsons Disease. The data and the funds we will raise will be invaluable. If you're interested in sponsoring any of these adventures, please get in touch! Raft across the solent. Cycle and run the perimeter of the island and then raft back to the mainland. But will our homemade raft do the job?! Six man team for this one! Riding a tricycle with a freezer on the front. In Iceland. Selling ice Cream to all those I meet!? Crazy? Maybe, but that's why it will work! 828 miles around the circumference of the Island having a blast! The aim is to traverse all the standard gauge steam railway tracks in England on a homemade pump trolley with a different partner on the other side of the trolley! The coastal road of Ireland must be spactacular and what better way to see it than from an old imported Tuk Tuk!? This an adventure for Lou and Hank to join in on. Who wants to sit on a lounger round a pool?! The One of the worlds busiest rivers? Check! One of the worlds longest rivers? Check. Two idiots in a Pedalo? CHECK! This will be epic and so much fun. Olly and I are just trying to build or buy a Pedalo... perhaps one made out of recyled plastic!? 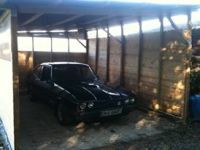 The restoration of my 1982 2.8i V6 Ford Capri has been a long one; its in terrible condition! The plan is for Lou, Hank and I to tour Europe, meeting other Capri owners and making a documentary of our tour! I reckon the likes of Monaco will be more interested in Capri than a Ferrari!